One of the most common hair concerns is dryness and brittleness of hair. Breakage is most likely to happen for hair that lacks nourishment and moisture. Most hair products contain drying chemicals as well, increasing the chances of hair damage. 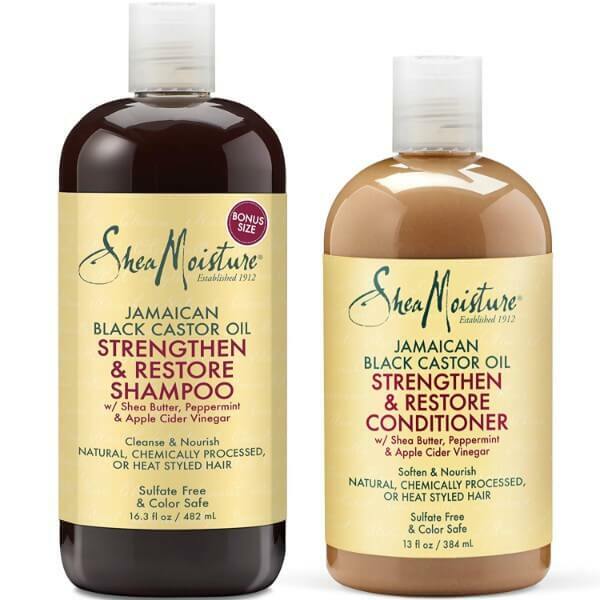 There are natural hair care products that help keep hair strong, smooth, and shiny. 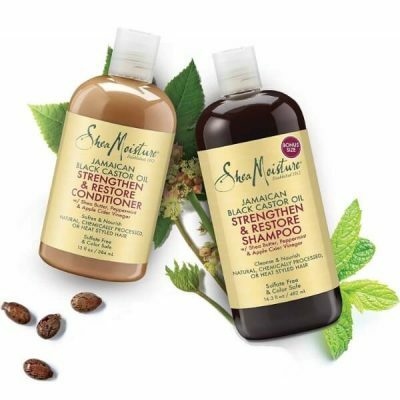 Shea Moisture Strengthen and Restore Shampoo and Conditioner are a set of hair products that promote healthy hair growth. Many shampoos can dry hair due to sulfate and other drying chemicals. What makes this set of hair products great is that they do not contain sulfate and artificial colors. 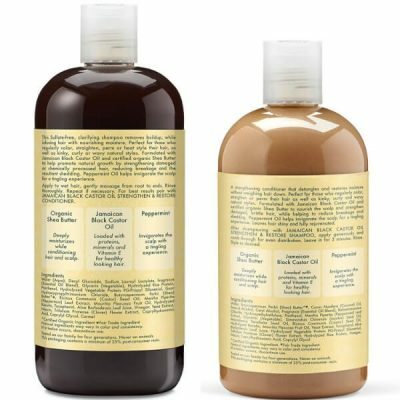 Both the shampoo and conditioner do not leave any residue on scalp and hair, which can impair hair growth. The shampoo, in particular, gets rid of residue buildup on scalp. 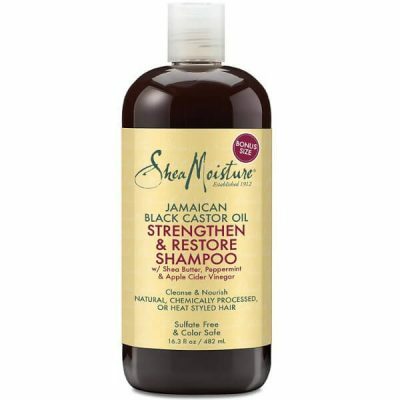 It cleanses deeply to stimulate the scalp for healthy hair growth. It contains apple cider vinegar as well, which helps restore pH balance to hair and scalp. Shea Moisture Strengthen and Restore Shampoo and Conditioner contain shea butter and Jamaican black castor oil. 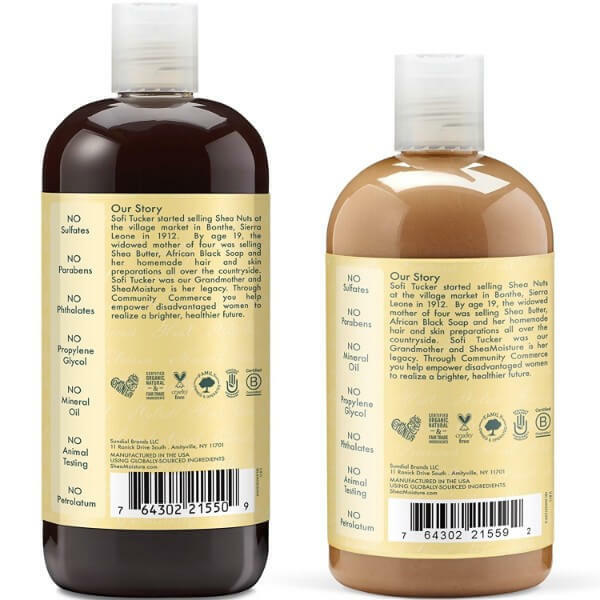 Both of these organic ingredients have nourishing and moisturizing benefits for hair. Their combined powers help condition hair for long-lasting moisture. As the shampoo cleanses gently, the conditioner replenishes the moisture that hair has lost. It detangles knots as well to make hair smooth and bouncy. 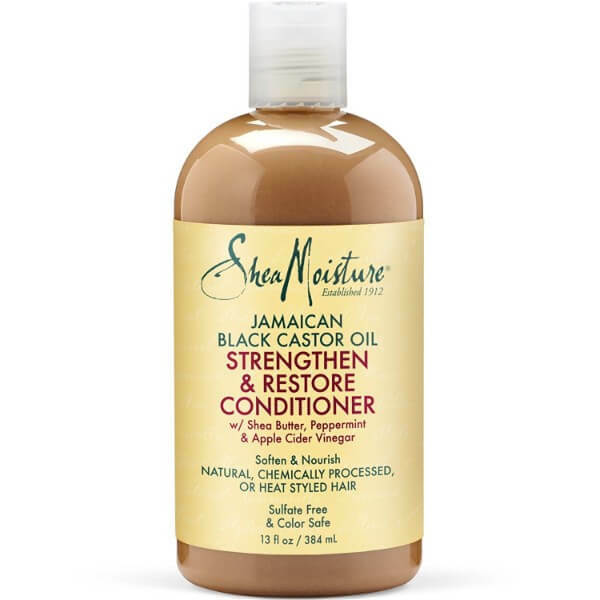 Shea Moisture Strengthen and Restore Shampoo works well for natural, chemically processed, or heat-styled hair. It repairs hair damage while restoring hair health. The blend of various extracts makes hair stronger and more resilient against damage too. 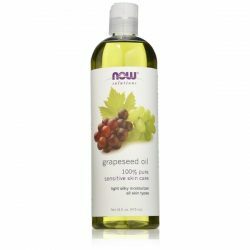 Use it for dry and brittle hair to reduce frizziness and dryness. Make sure to keep hair soft and shiny with this set of hair products. 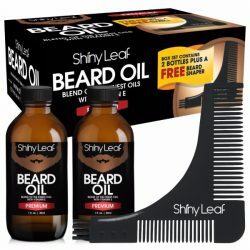 Since these products do not contain harsh chemicals, they are suitable for daily use. Apply to hair every wash to see great results in a few weeks.